It’s easy to mistake the war drums of society for the beat of your own heart. In the chaos and noise that is the modern world, the incessant throb of expectations threatens to drown out the gentle symphony and rhythm of what is truly important and essential to us: our dreams. Today, we bring you someone who has listened closely to what his dreams have sung to him. Meet Neil Chan. Guitarist. Musician. Dream Chaser. 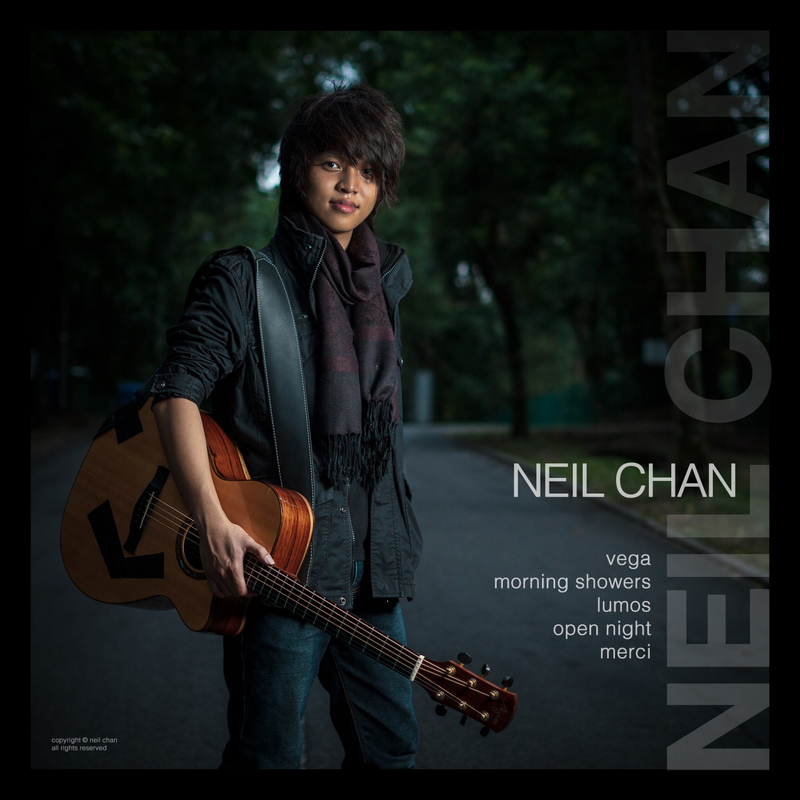 Neil is a Year 3 student studying Recording Arts and Science at the Yong Siew Toh Conservatory of Music. He is the first and currently only student to be admitted into both the Yong Siew Toh Conservatory of Music and the University Scholars Programme (USP). 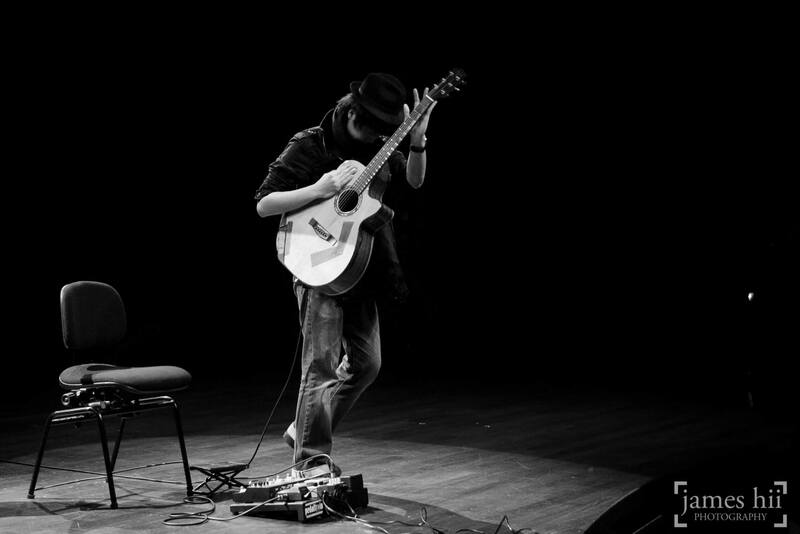 An outstanding guitarist, Neil has performed at many major events such as the Mosaic Music Festival, NUS Arts Festival, Esplanade Presents: National Day Celebrations, the Singapore Night Festival, Noise Singapore 2011, and the Singapore Youth Festival 2009. 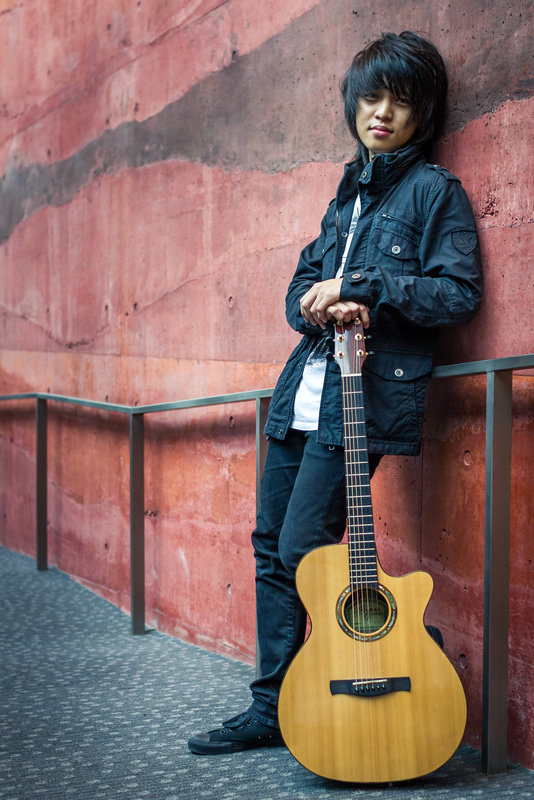 He also emerged champion at the Singapore Street Festival Band Competition in 2012. So maybe you can start with what got you into guitar? I got my first guitar way back in Secondary 2, but I only picked up guitar when I joined my JC’s guitar ensemble. Prior to that, I had never studied music before and had no formal training. However I was really bad at playing the guitar in my school’s ensemble, so much so that during the SYF auditions, I was almost kicked out by my teacher. I barely scraped through! My interest in guitar really developed only after A-levels. Shortly after my A-levels, an Indian missionary by the name of Benny Prasad visited my church and performed a fingerstyle guitar piece. I was really inspired by the performance, and went on to learn the piece from watching videos online. My first solo guitar performance was also at the church during an Easter event, playing the same instrumental piece. 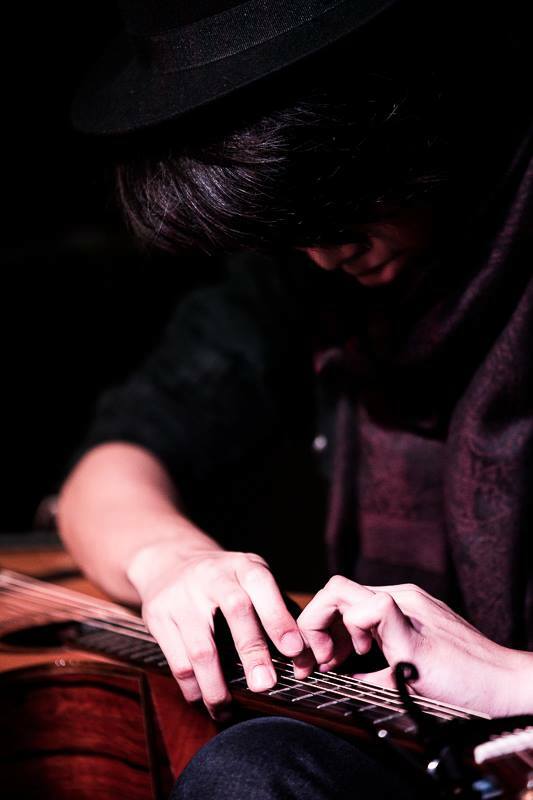 Besides ‘specializing’ in fingerstyle guitar, what other guitar styles are you interested in? I’m interested in this style known as lap tapping. Basically, the guitar is placed horizontally flat on your lap and is played very much like a piano. This interest began when I was in Europe. While in Belgium, I came across a busker playing using this style. I quickly rushed back to my room to try it. Since then, I have composed music in this style and incorporated it in many of my public performances. These are exciting and busy times for you indeed! We heard that you will be releasing your first album really soon. Tell us more about it. It is a five-track EP, and they are all original instrumental pieces. I will be selling the album at ten dollars each and they will be stocked in UTown at Book Haven, Sapore Italiano, and I guess in my room too. (laughs) All Maestro Guitar shops in Singapore will also carry my album, as I am their latest ambassador. Most importantly, I am planning to release the album next week (Week of 27th Oct) so do keep a lookout for it! 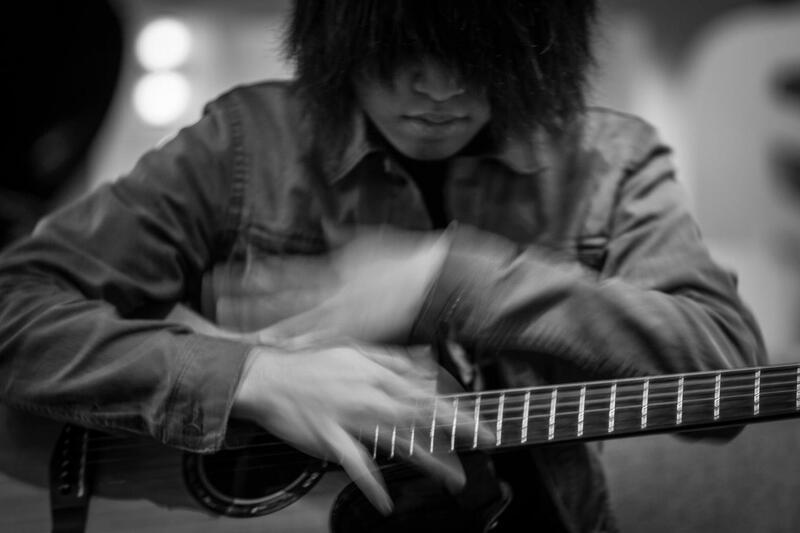 In addition, I will be conducting a guitar workshop in USP, probably right after Halloween. I am still firming up the details about that one. The songs on your album are written and produced by you. Bring us through your song writing process! There are basically two ways I go about writing a song. The first is that at the start, I set out to write a song. This then involves me playing around with my guitar until I come up with something. It is a more technical way. There are also times when a melody just comes into my head and I will be inspired to write a song. Actually I dreamt about a song before! When I woke up, I immediately sang the song in my sleepy voice and recorded it using my phone. Usually, I will record anything that pops into my head immediately using my phone before it slips my mind. You seem to have high standards for yourself. How do you know if you have ‘completed’ a song? When I feel comfortable enough to perform it. I guess a song can never really be finished. Even then, the songs are dynamic. Take for example a song that I have performed publicly over 20 times. It definitely sounds different from the time I first performed it as a result of the numerous additions and subtractions I have made to the song. What was the weirdest situation you encountered during your performances? It occurred during a performance at Blu Jaz where alcohol is served. When I started singing my song, a drunken girl started shouting and scolding her boyfriend. I was slightly annoyed but carried on with the performance. How about your most memorable moment? There are actually two. The first was at VivoCity during the Singapore Street Festival. It was memorable because I won the competition! (laughs) More so because a lot of my friends, both from church and USP came down to support me. My USP friends even made placards to support me; it was a really nice gesture. To me, the most important thing about performing is whom I am performing to. The second was a guitar workshop I attended in Austria. It was basically a gathering of fingerstyle guitarists from all over the world, and very experienced teachers led us. We performed in gigs every night and that was pretty cool. The international community for fingerstyle guitar is in fact very small and we are a tightly knit bunch. The workshop gave me a chance to make lots of contacts and meet lots of world-class musicians. We had great fun going out and getting drunk (them, not me) together! On the last night, I decided to sing a song and my friends were surprised that I could sing! That was a particularly memorable moment for me. How has school life been for you so far? You look like you are enjoying yourself. I enjoy studying music! Actually I do not take any guitar-related lessons in school. As a Recording Arts and Science student, I focus more on the studio production side. What we do is basically record music and mix them together. We learn in a commercial studio and sometimes we do take on assignments from people who pay to have their music recorded. This will help when I become a professional musician next time. I guess it is always good to be able to manage production myself, rather than always having to rely on external help. Did a lot of people question your choice of pursuing a degree in music? My GP teacher was quite shocked when I consulted her about my choice. I still remember her telling me that it was quite a waste. My dad was very skeptical about it as well. I think that it is indeed not easy to make a living with music in Singapore. You need to be determined and put in loads of effort. Most importantly, you cannot give up easily. As a kid, I used to ask myself: “Why can’t I be a rock star?” He’s just a human being after all. I thought that if he could do it, why can’t I? My personal philosophy is that everyone starts off the same. If you work hard, you can achieve your dreams and turn them into reality. Do you feel scared that you have embarked on an unconventional path, a path probably not many would have dared to embark on? Sometimes I do feel scared. I get panic attacks, wondering what I can do when I graduate. I do wonder how life would be different if I chose a more conventional path; a lawyer would earn a lot more than a musician. However, when I think about it, I honestly cannot imagine myself doing anything else. Personally, support from God, my family, and my friends have helped me out greatly. When I feel down, I turn to them. I couldn’t do everything without the help of my family and friends, and definitely without God by my side. When I was younger, I was a really shy lad. My teachers were very worried about me, as I wouldn’t talk to anyone in class. My voice was inaudible. When I was voted to be class monitor in primary school, I couldn’t even perform a simple task like shouting ‘Class Stand!’. It is amazing that now I’m performing and singing on stage. I definitely did not accomplish this with my own strength. Lastly, how would you advise someone who was in your position after receiving his ‘A’ Level grades? Others have told him that it will be a waste to pursue a career in music. I would tell him that it is true that pursuing music as a career is a very big risk. It is not easy being a musician. I would tell him to make sure that this is really what he or she wants to be. Essentially, could he imagine himself doing something else? If he can, then a lot more thinking has to go into making this decision. If you want to be a performer, you need to go all out and make yourself stand out. You need to be world-class. There isn’t any room to be half-hearted about it. To find out more about his upcoming events and about his album, do follow him at his Facebook page and subscribe to his YouTube channel. For enquiries about album purchases, you can contact him directly at 96169797. 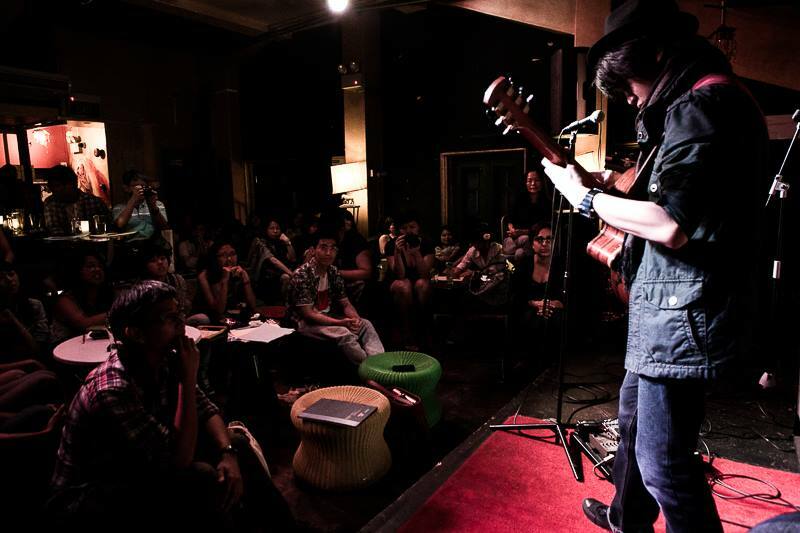 Neil will be performing an acoustic session at the NUS UTown BookHaven at 2pm on 1st Nov. Admission is free.